A lot of what I write about is concerned about the ancient past or the very near future. This time, however, I'm writing about the here and now. I'll be telling you about an amazing discovery that allows humans to grow new parts for their body -- arms, legs, spinal nerves -- everything! This discovery has revealed what has been described as "the fountain of youth". It can not only stop the aging process, but actually restore an old person to their youth. You will be surprised to learn that it has been known for quite a while and is the basis for the lore of Vampires and a woman you will meet later, called "The Bloody Lady of Cachtice." All of this is no fantasy. It's science and it's here and now. A warning: I'll be telling you something you may not want to hear but it is my hope that, after you read this, you will change your life. In fact, I know you will. A milestone was reached as scientists from the Wistar Institute announced a breakthrough in tissue regeneration in a mammal through the understanding and successful blocking of a single gene, p21. This breakthrough clears the way for humans to re-grow a missing finger, arm, leg, or virtually any cellular tissue much the same way as Newts, sponges, flatworms and some fish already do. The newt is a small salamander that has been show to regenerate a limb or tail when it is accidentally lost. In laboratory experiments, when a leg is amputated, the wound immediately forms a seal to prevent blood loss. 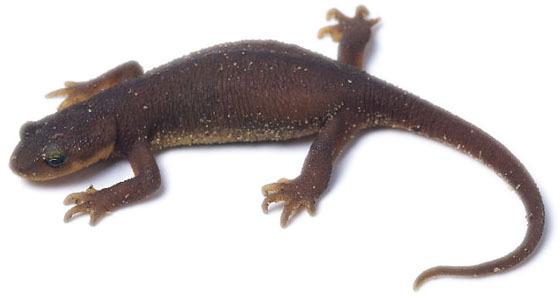 But unlike mammals which form a scar, the newt forms a blastema. The blastema is a mass of undifferentiated cells -- much like the cells of an embryo -- which have the ability to change into skin, bone and vascular cells, as needed. 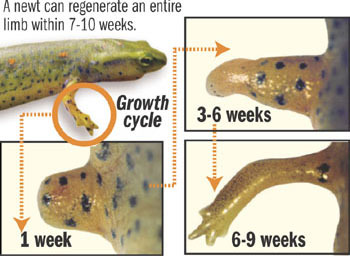 These cells quickly undergo differentiation and reproduce to form the missing tissue and underlying structures to make the salamander whole again. The newt can not only regenerate an arm, leg or tail but can also do the same for its retina and intestines. 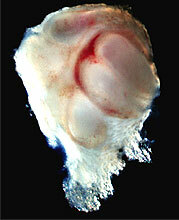 Another remarkable example of tissue regneration is found in the zebra fish. Only two inches long, it's found in many home aquariums. The zebra fish has been famous for growing lost fins, often the favorite "snack" for larger aquarium fish. Hobbyists have noted that these are completely re-grown with no signs of damage within a few weeks. But scientists are most interested in how this small fish can re-grow its damaged heart. In laboratory experiments the zebra fish's heart is clipped, severing the lower ventricle. Within seconds the wound clots and is sealed as cells covering the tiny heart rapidly grow to encase the chamber. The cells lining the heart then quickly divide to form new muscle cells, completely repairing the heart with no residual scar. In mammals, like humans, damage to the heart muscle results in an inflexible scar which not only replaces the muscle with useless tissue but impedes the movement of the heart, causing it to overwork and eventually fail. Understanding how to re-grow and rejuvenate cardiac muscle -- like the zebra fish does -- would prevent the number one cause of death for humans. Until now, this kind of regeneration was impossible for mammals. When humans suffer a traumatic injury, our bodies quickly mobilize a clotting factor to stop the bleeding. The clotted blood then forms a membrane that inhibits regeneration and later forms a scar. While the discovery of the function of gene p21, as you will see, will allow us to regrow lost parts, scientists are also quickly learning how to rejuvenate and re-grow damaged muscle fibers. Investigations of human diseases are often conducted on mice. Over the past decades mice have been bred to have certain genetic problems that mimic human diseases. In this way appropriate treatments can be evaluated in without the risk to humans. A certain mouse species called the Murphy Roths Large (MRL for short) varierty has been popular in studying auto-immune diseases like multiple sclerosis and diabetes. The MRL mice lack a gene called p21. Experimenting with many different varieties of mice can get confusing. 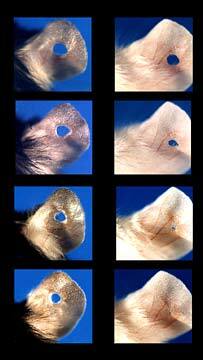 Some laboratories punch small holes in the animals' ears to readily identify their specific breed. This procedure was used at the Wistar Institute to identify the MRL mice in an experiment. But when the mice were left in their cages with other mice for several days these holes had completely healed! The tissue had vascularized and even re-grew hairs. Of course this totally ruined their experiment but it made the researchers curious about how and why this happened. The answer was simple. The MRL mice lacked one gene -- p21 -- which, it turns out, stopped the membrane and scarring that prevents tissue rejuvenation. The absence of this single gene resulted in complete healing and re-growth of their cells. It was determined that this gene was responsible for preventing mammals from re-growing tissue like the salamander and zebra fish. "Much like a newt that has lost a limb, these mice will replace missing or damaged tissue with healthy tissue that lacks any sign of scarring. While we are just beginning to understand the repercussions of these findings, perhaps, one day we'll be able to accelerate healing in humans by temporarily inactivating the p21 gene. In normal cells, p21 acts like a brake to block cell cycle progression in the event of DNA damage, preventing the cells from dividing and potentially becoming cancerous. In these mice without p21, we do see the expected increase in DNA damage, but surprisingly no increase in cancer has been reported." Experiments have since succeeded in regenerating a mouse limb on the MRL mice and the application of this gene manipulation should allow the same techniques to be used on humans who have suffered traumatic amputations. Scientists are now working on methods to temporarily shut off p21 in human tissue. The most efficient and safe way should be ready for trials very soon. One promising method for shutting off a gene is called RNA Interference. RNA interference (RNAi), which naturally occurs in cells, is a process in which brief RNA sequences, called small interfering RNA (siRNA) block signals from a particular gene. This process, called gene silencing, inhibits the gene from carrying out its function of creating a protein or another gene product. The body often uses RNAi as a defense against the action of hostile viruses. Over the past few years, biomedical researchers have been investigating how they might eventually harness RNAi in new medicines. Another line of research uses RNAi as a research tool, investigating the functions of specific genes by studying what happens when RNAi temporarily silences them -- a process calling "knocking down" the gene. For thousands of years, losing teeth has been a routine part of human aging. That's over. We're there, right now. A lot of people will go and never lose a tooth. With good health care and proper habits, there's no reason to lose a tooth, short of a knuckle sandwich. Recently, a Japanese team from the Tokyo University of Science, led by associate professor Takashi Tsuji, reported in Nature Methods that it had successfully regrown a tooth from cells extracted from mouse embryos. The researchers were able to transplant the tooth into an adult mouse, and the tooth bud continued to grow to full size. Teeth in mice, much like those in humans, form during embryonic development from two major cell types: epithelial and mesenchymal. Epithelial cells give rise to the outer enamel, while mesenchymal cells form a tooth's inner connective tissue and blood vessels. Takashi's team isolated both kinds of cells from multiple mouse embryos, then transferred them to a collagen gel culture, in which the cells interacted to form a tooth bud. Researchers then transplanted the bud into the liver of an adult mouse, where the increased blood supply aided further tooth formation. Finally, Takashi inserted the tooth into an empty cavity within the mouse's mouth, in which it grew to full size. For humans, a better approach may be to use adult stem cells, which can be obtained from a patient's hair, skin, or other tissue; manipulated with the right molecular cues to form any kind of tissue; then transplanted back into the same person with less rejection problems. However, obtaining such cells from human bone marrow is a painful process. In the next three years, scientists hope to identify more-accessible stem cells that may be able to form not only teeth, but also -- and more important -- roots. A group of researchers from the University of Southern California (USC) recently regrew tooth roots in pigs using adult stem cells from wisdom teeth. The team, led by Songtao Shi, assistant professor of USC's School of Dentistry, isolated stem cells from the extracted wisdom teeth of 18-to-20-year-old humans. From these cells, the researchers successfully recreated a tooth's root and periodontal ligament, which, when transplanted into the oral cavity of a pig, could support a synthetic crown. Shi says it is a promising start, and his team hopes to begin human trials within the next few years. Eventually, he envisions being able to isolate stem cells from sources such as wisdom teeth, then store them for future use should the patient require dental attention down the line. In the next few years, Shi and others anticipate great strides in the area of tooth regeneration. Regenerating certain cells has always been possible for the human body. But this natural ability has so far been limited to certain tissues that are subjected to extreme wear and tear. Our skin sheds and replaces billions of cells on a regular basis as does out liver and the cells that line our intestines. Our muscles also tear and are replaced, and it was when scientists examined this process that they discovered something amazing. Muscle cells are shaped in long fibers that form bundles. Inside these bundles of muscle cells are special satellite cells. Satellite cells are stem cells. When stimulated, they are able to differentiate and to form new muscle fibres. These cells represent the oldest known stem cells and are involved in the normal growth of muscle, as well as regeneration following injury or disease. Young and old muscle tissue have these satellite cells, but the cells in older muscle do not work as efficiently and so regeneration is slower or incomplete. This is why old age often manifests in muscle wasting and weakness. Microscopic examination of satellite cells reveals that they contain protruding organs called a notch delta. Half of this organ is outside the cell membrane (delta) and senses changes in the intercellular environment while the other half (notch) is surrounded by the cell's cytoplasm. The delta notch can sense the damage of neighboring muscle cells and triggers the nucleus to activate its RNA transcription and effect repairs. It is this ability to trigger regeneration that slows or stops in aged tissue. Although scientists could clearly observe these sluggish notch delta in aged satellite cells they didn't know why it was happening. 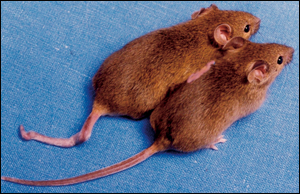 The breakthrough came when Thomas A. Rando of Stanford University surgically joined pairs of mice like reconnected Siamese twins. He linked the animals' circulatory systems so that blood from each member of a pair flowed through both mice. One mouse in each pair was old; the other was young. Rando wanted to find out whether the declines of satellite cells should be attributed to changes in the satellite cells themselves (faulty delta notch organs) or to changes in the cells' environment as the animals aged. Amazingly, the blood of the young mice completely restored the tissue-healing powers of the satellite cells in the older mice! The delta notch organs functioned with no problems. Rando showed that the decline is a response to changes in the blood, not the result of an inherent wearing out of the stem cells themselves. When satellite cells from old mice were isolated in a culture and the young serum (liquid part of blood) was applied, the same improvement in rejuvenation was observed. It seems that the serum of young blood is capable of not only stopping the age related deficiencies -- but of reversing it. The stem cells were not the problem; rather, it was their intracellular environment. The leap from making mice more youthful to doing the same for humans is not that far. In fact, we have some rather gruesome evidence that this method has already been implemented. 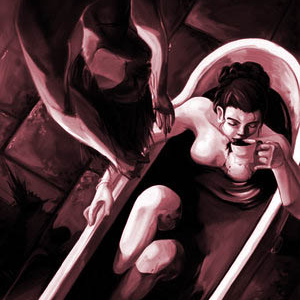 In the 15th century there was the famous case of Elizabeth Bathory, the so-called "Bloody Lady of Cachtice," who bathed and consumed the blood of young virgins with the certainty that it kept her body young and healthy. Countess Erzsebet Bathory aka the "Blood Countess" and the "Bloody Lady of Cachtice" was a Hungarian noblewoman who enjoyed torturing her servants and took up an interest in the black arts. Legend has it she was beating a servant girl for some minor infraction when the girl's blood spilled on her arm. Bathory immediately determined that her skin had improved where the blood landed, so she had the girl bled to death and bathed in her blood. Although it seems unlikely, Bathory was convinced that this technique was making her young again, and she decided to keep it up. For about ten years she bathed in and drank the blood of kidnapped peasant girls on a regular basis. Eventually, her nobility was her downfall. She decided she needed a better quality of blood (possibly when her continued aging became too difficult to ignore), and started to prey on girls of higher birth. This obviously did not sit well with the nobility. They ordered her arrest. More than six hundred and fifty girls (according to one witness) had fallen victim to Bathory's obsession with eternal youth. Her primary servants, the ones in charge of the bleeding, were sentenced to death, but it was considered gauche to try and execute nobles, so Erzsebet Bathory herself was never formally put on trial. In 1610, she was imprisoned in Cachtice Castle where she remained bricked in a set of rooms until her death four years later. What is it in the young blood serum that can change an old body to a youthful one? We know from experiments that once the youthful serum is removed from the old tissue, it reverts back to its former (older and slower) rejuvenation abilities. This is perhaps because the older serum lacks some special ingredient that's only produced in sufficient amounts in our youth. Blood serum contains glucose, proteins, clotting factor, minerals and hormones. Since we are looking for a substance that changes with age, a good candidate might be a hormone called Insulin-like Growth Factor (called IGF-1) produced in the liver. This serum ingredient peaks around puberty but drops significantly in old age. Its production is stimulated by Growth Hormone (GH) that is produced in the pituitary (brain). When mice were specifically bred to have naturally occurring high levels of IGF, induced damage to the heart (a heart attack) resulted in almost complete rejuvenation of the heart muscle with no scarring or fibrous tissue. This seems to suggest that IGF could be a good candidate for our "fountain of youth." But wait. There's a problem. 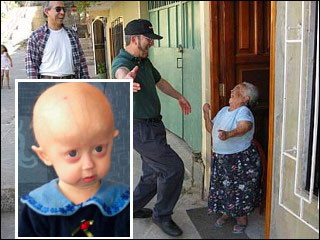 In the southern Equador there is a group of people who suffer from a rare condition called Laron Dwarfism. Over 300 people have this disorder and they have been well studied. The Laron syndrome is characterized by small stature (not more than 4 feet in height), enlarged foreheads and DNA mutations that inhibit the production of IGF. The blood of the Laron dwarfs may have the requisite amount of Growth Hormone (GH) circulating in their blood but the receptors for this important hormone don't function. This results in exceptionally low levels of IGF. You might think this is very bad and unhealthy -- right? Wrong. Scientists are amazed that the Laron dwarfs have virtually no cancer or diabetes among their group! What's even more remarkable is that they live as much as 40 years beyond the normal population. We have a paradox where high levels of IGF appear to have rejuvenating abilities for old tissue but, at the same time, the absence of IGF results in resistance to common diseases such as cancer and diabetes and a significant increase in lifespan. How can we resolve this? While the role of genes and stem cells is rapidly being revealed by advances in science and technology, the goals of rejuvenation and regeneration continually face the great nemesis: cancer. Naturally, as we get older, the replication errors become more common. By slowing down the growth and renewal of our tissue, the body is actually delaying the statistical probability that some cells will mutate and become cancerous. This is why Growth Hormones and IGF-1 decline with age. The ramping up of cell division among mutant cells would certainly mean a much earlier death. The human lifespan can be thought of as having two phases. Youth is designed for reproduction and the continuation of the species. Accelerated cellular regeneration and rejuvenation is at a relatively low risk of cancer. The demands of survival require rapid repair of tissue and optimal strength. When the reproduction phase turns to old age the body seeks self-preservation and growth slows. The experiments with co-joined mice, had they continued, might have shown that the older mice had greater rejuvenation abilities; however their risk of developing tumors could be expected to increase. But the temporary effects of youthful blood serum should be beneficial if it is applied to humans being treated for surgery or traumas. Perhaps we should be more careful about the age of blood donors. The aged homeless man selling his blood for ten dollars a pint might not be the best candidate for procuring emergency serum. The University of Utah is one of only six medical facilities conducting clinical trials on repairing damages heart muscled by infusing stem cells directly into failing hearts. The stem cells are harvested from the patient's bone marrow and then are placed in bioreactor where they are incubated for twelve days. During this time, the weak stem cells, damaged by either age or illness, wither away. Then millions of the strong, rejuvenative stem cells are then gathered for the infusion. Once injected into the patient's heart muscle, the new colony of cells act like homing beacons, sending out messages to different parts of the body. Instead of a heart transplant -- which for many of these patients wasn't even an option -- nature's own mechanism is being called into play to make the repairs. 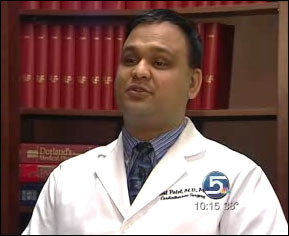 "We are not isolated to just an anecdotal one or two patients," Patel said. "We're seeing this in a majority of our patients. So, it's a very diverse population of men, women; different ages and different causes of heart failure." At present the trials are limited and patients must volunteer for the treatment. The University of Utah team hopes soon to use a less invasive technique: snaking a catheter from the leg up into the heart, then infusing stem cells through that catheter into the heart from the inside out. 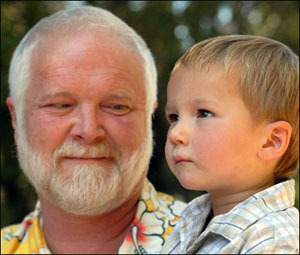 If you would like more information about the clinical trials, call 801-581-5311. We've learned much about the benefits and hazards of IGF. Basically, unless you are very young and actively growing, you don't want excess levels of IGF in your body. In January 2010, Amy Wager (Harvard) announced results that show increased levels of IGF in bone marrow significantly change the population of blood cells, producing less b-lymphocytes and more myeloid cells than normal. This is an unhealthy trend leading to an impediment of the immune system and an increase in the inflammatory reaction.
" We found that the aged osteoblasts show an increase or altered responsiveness to a particular growth factor called Insulin-like Growth Factor-1 (IGF1), which is a conserved regulator of longevity in many organisms. And when we neutralize IGF-1, specifically in the bone marrow where the osteoblast and blood stem cells live, we can restore more youthful interactions between these two cell types. That was pretty interesting because IGF has also been implicated in regulating stem cells in other tissues, particularly in the skeletal muscles -- although in the muscle it has an opposite effect." 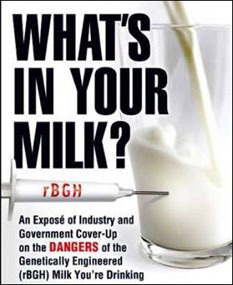 In doing this research I learned that most of the IGF in our diets comes from dairy products. Since milk is naturally produced to feed very young animals, it produces proteins that stimulate Growth Hormones and IGF. If that were not bad enough, farmers and milk producers often inject the cows with additional Bovine Growth Hormones (BGH) to stimulate their milk output. Although it is desirable in our growing years to grow strong bones and muscle, it has minimal value in older years of life. Unfortunately, by then milk consumption has become habitual. Today's fast foods are rich in cheese. From cheeseburgers to pizzas to sub sandwiches, concentrated milk protein is being consumed in record amounts. Add a national addiction to ice cream and butter and the annual consumption is staggering. The result has been that people are getting bigger and living shorter lives because of cancer and heart diseases. In the animal world, size and longevity go hand in hand. A small dog may live for 10 to 15 years while a large breed will be lucky to live half that age. Height in humans correlates with increased breast and colon cancer. Mice who were bred to have lower levels of IGF lived 40% longer than normal mice. In 1998, Science published a study that positively correlated high levels of IGF with human prostate cancer. The medical literature is now full of studies implicating IGF in arthritis, Alzheimers and a plethora of inflammatory diseases. A recent study conducted in England showed that vegans had a 13% decrease in IGF compared to both meat eaters and so-called "lacto-vegans" (who consume dairy products). In America these studies are seldom conducted because of a powerful Dairy Lobby that promotes milk as a healthy part of the "essential food group." In short, aside from the arterial fat from dairy products, the stimulation of IGF is enough reason to never touch dairy products again. Sadly, there is one food that is even more dangerous to your IGF level -- soy. Soy products have been sown, gram for gram, to be twice as potent as milk in stimulating your body's production of IGF. 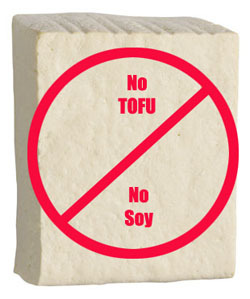 So if you try to get away from dairy and beef by consuming soy milk or tofu you are moving in the wrong direction. A little milk or soy now and then should not be harmful. But a diet of fresh vegetables, fruit and nuts will keep IGF levels low, your body free of replicating diseases and you should live a longer life.